I think I was 12 years old. I was in 6th grade when I discovered the Tour de France. At the time I was training at the local club, Jurand Ciechanów. My parents signed me up when I was 10, after I’d had tried out swimming and tennis. I stuck with cycling since I quickly got my first wins. Greatest racing memory: When I finished 2nd in Omloop Het Nieuwsblad, and when Michał Kwiatkowski won Milan-San Remo after great teamwork. 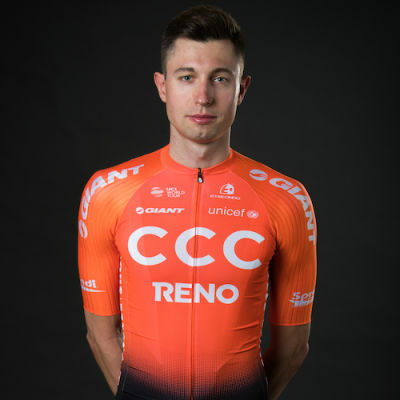 Lukasz Wiśniowski is one of the key riders for the classics. The Polish rider has proven his abilities on the pavé by finishing on the podium at Omloop Het Nieuwsblad last year. He also has two top-10 finishes at Kuurne-Bruxelles-Kuurne and claimed second overall at Driedaagse van West-Vlaanderen in 2016. In 2013, Wiśniowski scored a double at the U23 Polish National Championships, winning both the road race and the individual time trial.